Cows and trees, energy and vitality. 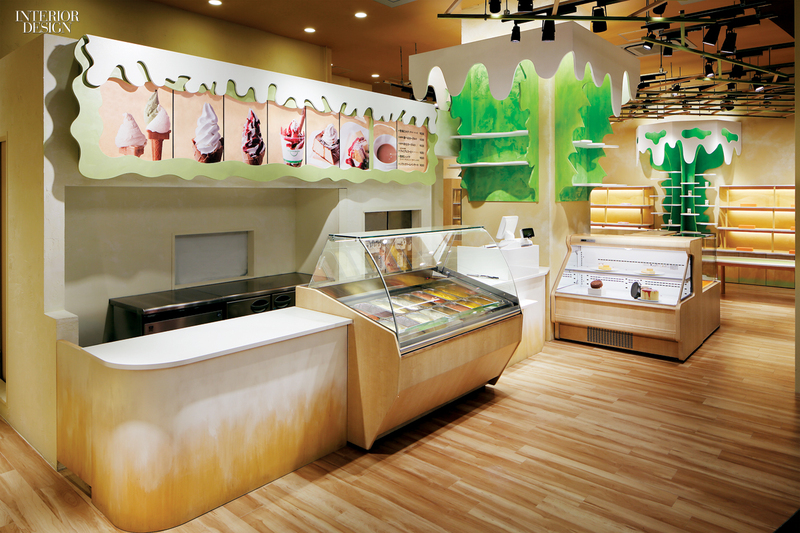 Those are themes evoked at a concern that serves yogurt, gelato, cheesecake, and other milk products made by hand at a farm in Narita, near Tokyo’s airport. 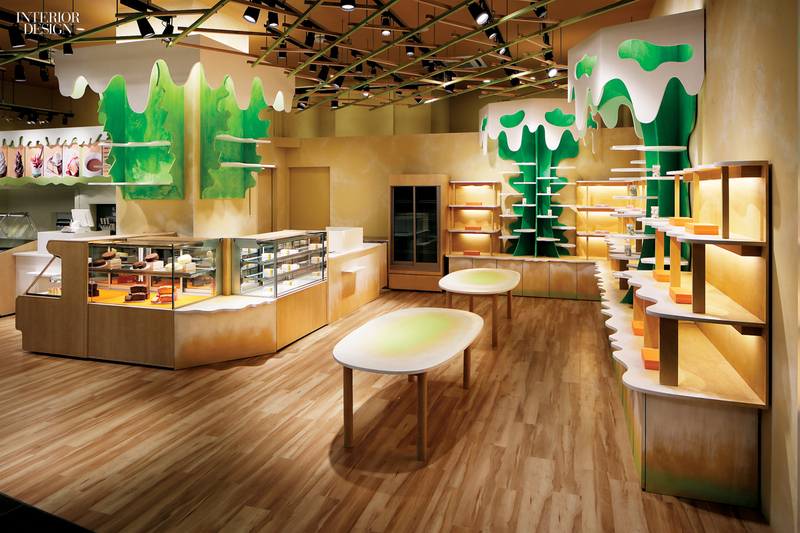 “I thought a lot about what makes a space fresh,” Moriyuki Ochiai says. “It has to do with life-force—the question being how to give that a physical form.” His solution was twofold. 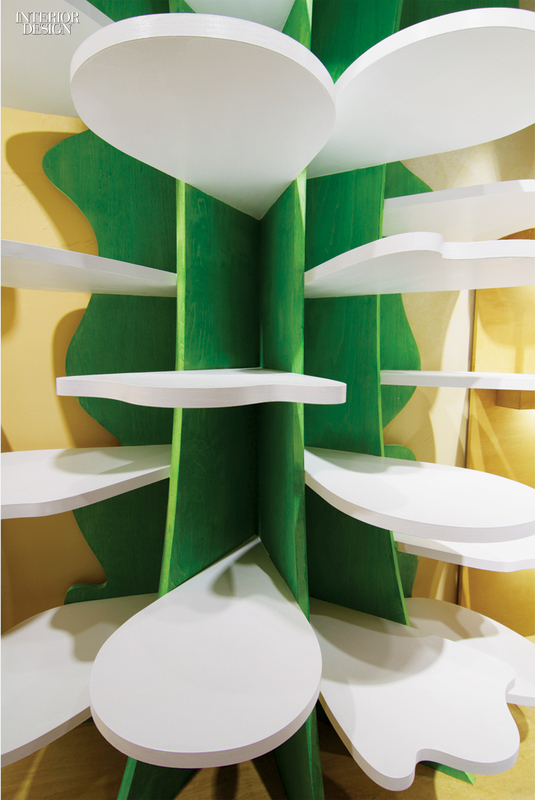 To conjure flowing milk, he gave each plywood shelf a softly curving organic form, a unique hand-drawn contour, and coated it in white paint. To complement the white and reflect nature’s own complex palette, he also mixed his own paint in subtly variegated colors. Completing the warm atmosphere, intended to envelop customers, are cedar floorboards and latticework, the latter painted green and suspended overhead. 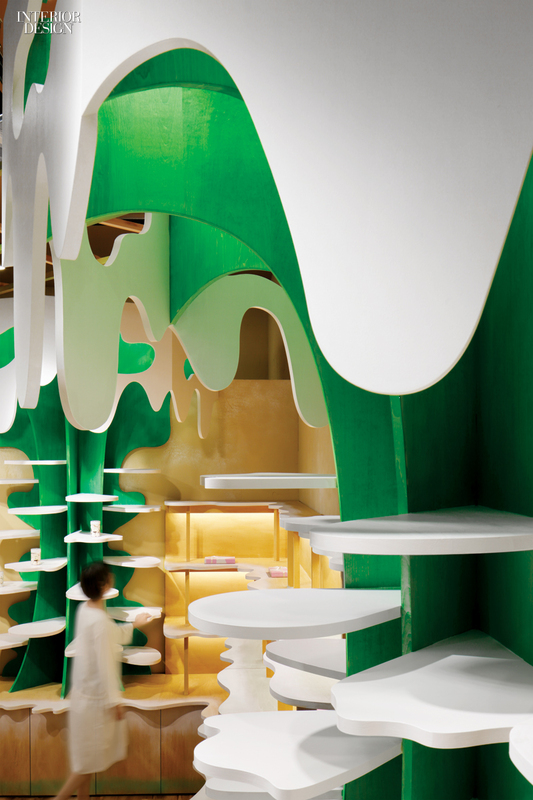 Asked about the “milk-tree” display towers and other Dr. Seuss–worthy elements scattered throughout the 1,100-square-foot interior, Ochiai reveals that inspiration struck on the Narita farm itself. He spent days there eating ice cream, communing with the cows, and taking in the forested landscape. Eventually, those impressions coalesced into a store design. If only all work could be so relaxing.